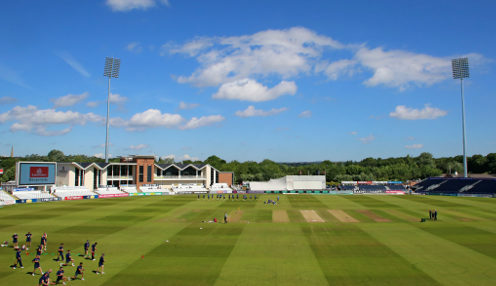 Durham have signed Yorkshire's England Lions batsman Alex Lees on a three-year deal with immediate effect. Lees, 25, moves up the A1 on loan for the remainder of the 2018 season and will be available for the Durham's County Championship fixture against Glamorgan at Sophia Gardens on 19th August. Durham are 1212/1 to win the County Championship Division 2 title this year while Warwickshire can be backed at 5/4 and Sussex at 1212/1. Touted as Alastair Cook's new opening partner just three years ago, Lees has lost form in recent seasons but still averages 34.53 in first-class cricket and was made Yorkshire's white-ball captain aged just 22. Out of contract at Headingley at the end of this season, the two-time county champion - Yorkshire won back-to-back titles in 2014 and 2015 - was also interesting Derbyshire. Durham head coach Jon Lewis said: "We're delighted that Alex has signed for the club and believe that his experience and skill-set will make him a perfect fit here. "When an English batsman of his age and ability becomes available, it's a no-brainer and we're pleased that he has chosen Durham as we were aware that other counties were looking at him. "Adding him to our squad gives us great options across both red ball and white ball and we are looking forward to seeing him continue to develop during the coming years at Durham and put himself back in contention for an England spot."